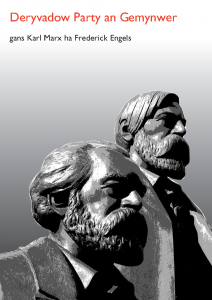 A Cornish language translation of the Communist Manifesto is to be launched in Truro on Saturday 29 October. Translated by a Cornish communist who uses the pen-name Penruth, the booklet will be launched at a public meeting in the Railway Tavern, next to Truro station, at 7pm. Mr Ray Chubb (Map Essa) of Agan Tavas (Our Language) has checked the translation and will be present at the launch. 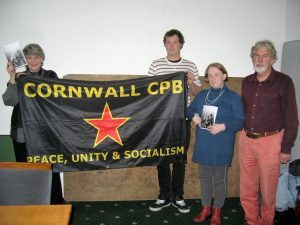 Mr Owain Holland, General Secretary of the Young Communist League, who lives in Cornwall and is a Cornish language user, will chair the meeting. The 30-page booklet will be on sale at £2. Be the first to comment on "Deryvadow Party an Gemynwer"